This past week the US central bank, the Federal Reserve, announced it would begin selling off its $4.5 trillion debt that it accumulated since 2008 by buying up investors’ toxic mortgage and T-bonds at above market rates. The Fed has continually argued ever since 2008 this was necessary in order to ‘bail out the banks’. But the banks were bailed by 2010, and the free money from the Fed continued another six years. The Fed $4.5 trillion bond buying spree then drove down interest rates at which banks could borrow from the Fed to historic lows of 0.1%-0.25%, in effect further subsidizing the banks for 8 more years. What was originally a bank bailout in 2008-09 thus became a more or less permanent ‘banking system subsidization’ program by the Fed, which has resulted in banks becoming addicted to the virtual free money. The Fed’s just announced start of selling its debt–which will have the effect of raising interest rates–is a mere token effort and won’t succeed in any serious reduction of its debt. 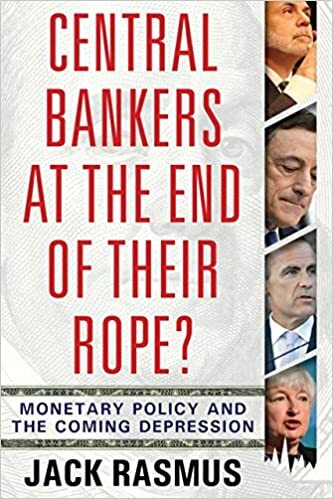 As I predict, and explain in my recent book, ‘Central Bankers at the End of Their Ropes’, Clarity Press, August 2017, the Fed now cannot raise rates beyond 2% (now at 1.25%) much without precipitating another financial crisis, or without collapsing currencies and economies in emerging markets, or without causing US multinationals offshore a major profits contraction, or without seriously undermining US exports and thus an already fragile US economy that already shows signs of slowing in 2018. Thus the recent Fed announcement of sell off of its $4.5 trillion debt is a ‘token’ and a ‘fiction’. The Fed will be stuck with more than $4 trillion in debt by 2019, and will soon have to add even more to it when the next recession occurs circa 2019-20 or perhaps even sooner. The Fed itself knows this. That’s why the announcement was a token $10 billion sell off per month, and marginally more thereafter. Before it reaches $.5 trillion in sales, and the 2% ceiling interest rate, it will have to stop, or even reverse its balance sheet selling. That means when the next recession or financial crisis occurs, the Fed will open the money spigot again and add still more to its debt–and now on top of the $4 trillion or so debt that will still remain. 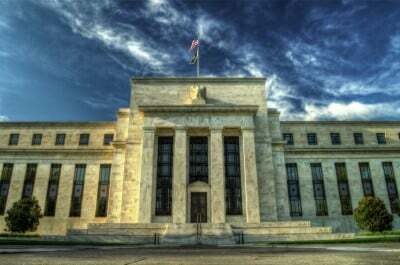 The US central bank is doomed to go ever deeper in debt in order to continue its program of private banking system ‘subsidization’, which has become a major characteristic of 21st century capitalism and banking. The private sector is becoming more and more dependent on the capitalist state and its central banks to prop up and support its long run faltering investment and profit trends. What was once termed a bank bailout function (called ‘lender of last resort’) has become a banking system ‘subsidization’ function. This new role of the central bank in the 21st century has also contributed greatly to the growing financialization of global capitalism, as the central bank free money flows not into real investment to produce infrastructure and real goods but rather is increasingly diverted to financial asset markets creating bubbles in stocks, bonds, derivatives, foreign exchange, and property prices–an argument, with evidence, I provided in detail in my 2016 book, ‘Systemic Fragility in the Global Economy’, Clarity Press, January 2016′. What follows are a couple of excerpts from my ‘Central Bankers at the End of Their Ropes’ book, specifically the chapter 14 on the Yellen Fed, that discusses how the Federal Reserve under Yellen–and before that under Bernanke and Greenspan as well–have evolved into the ‘subsidization’ function as a consequence of its decades-long free money injections into the banks have led to accelerating ‘financialization’ of the global capitalist system, and in turn more frequent and severe financial bubbles, crashes, and consequent recessions. “Central bank financial subsidization policy raises the question as to whether the primary function of the central bank in the 21st century is more than just lender of last resort, or money supply management, or bank supervision, as has been the case in the past before 2008. Certainly those primary functions continue. But a new primary function has demonstrably been added: the subsidization of finance capital rates of return and profitability—regardless of whether the financial system itself is in need of bailout or not. Globalization has intensified inter-capitalist competition and that competition compresses prices and profits. So the State, in the form of the institution of the central bank, now plays an even more direct role in ensuring prices for financial assets are not depressed (or prevented from rising) by inter-capitalist global competition; and that global competition is more than offset by central banks becoming a primary source of demand for private sector financial assets. Excess liquidity drives demand for assets, which drives the price of assets and in turn subsidizes price-determined profitability of financial institutions in particular but also of non-financial corporations that take on the characteristics of financial institutions increasingly over time as well. “Long after banks were provided sufficient liquidity, and those in technical default (Citigroup, Bank of America, etc.) were made solvent once again, the Yellen Fed has continued the Bernanke policy of massive and steady liquidity injection. Whether the tools are QE or open market operations, modern central bank monetary policy is now about providing virtually free money (i.e. near zero and below rates). Targets are mere justifications providing an appearance of policy while the provision of money and liquidity is its essence. Tools are just means to the end. And while the ‘ends’ still include the traditional primary functions of money supply and liquidity provision, lender of last resort and banking system supervision—there may now be a new function: financial system subsidization. “The ideological justification of QE, ZIRP and free money for banks and investors has been that the financial asset markets need subsidization (they don’t use that term however) in order to escalate their values in order, in turn, to allow some of the vast increase in capital incomes to ‘trickle down’ to perhaps boost real investment and economic growth as a consequence. They suggest there may be a kind of ‘leakage’ from the financial markets that may still get into creating real things that require hiring real people, that produce real incomes for consumption and therefore real (GDP) economic growth. But this purported financial trickle down hardly qualifies as a ‘trickle’; it’s more like a ‘drip drip’. It’s not coincidental that the ‘drip’ results in slowing real investment and therefore productivity and in turn wage growth. This negative counter-effect to central bank monetary policy boosting financial investment and financial markets now more than offsets the financial trickle-drip of monetary policy. The net effect is the long term stagnation of the real economy. “From 2008 through May 2017, QE and other Fed liquidity programs raised the Fed’s balance sheet from $800 or so billion to $4.5 trillion. The QE programs ended in October 2014. Since then payments on bonds to the Fed could have reduced the Fed’s balance sheet. However, the Fed simply reinvested those payments again and kept the balance sheet at the $4.5 trillion level. In other words, it kept re-injecting the liquidity back into the economy—in yet another form indicating its commitment to keep providing excess liquidity to bankers and investors. “Throughout the Yellen Fed discussions and debates have continued about whether the Fed should truly ‘sell off’ its $4.5 trillion and stop re-injecting. That would mean taking $4.5 trillion out of the economy instead of putting it in. It would sharply reduce the money supply and liquidity. It has a great potential to have a major effect raising interest rates across the board, with all the consequent repercussions—a surge in the US dollar, reducing US exports competitiveness and GDP; provoking a ‘tantrum’ in EMEs far more intense than in 2013, with EME currency collapse, capital flight, and recessions precipitated in many of their economies. It would almost certainly also cause global commodity prices to further decline, especially oil, and slow global trade even more. “Finally, no one knows for sure how sensitive the US economy may be, in the post-2008 world, to rapid or large hikes in interest rates. Over the past 8-plus years, the US economy has become addicted to low rates, dependent on having continual and greater injections. Weaning it off the addiction all at once, by a sharp rise in rates due to a sell-off of the Fed’s $4.5 trillion, may precipitate a major instability event. The US economy may, on the other hand, have become interest-rate insensitive to further continuation of zero rates, or even forays into negative rates(as in Europe and Japan) as a result of the 8 year long exposure to ZIRP.. In contrast, that same addiction may mean the economy is now also highly interest rate sensitive to hikes in interest rates. As economists like to express it, it may have become interest-rate inelastic to reductions in rates but interest-rate highly elastic to hikes in rates. But it is not likely that Fed policymakers, or mainstream economists, are thinking this way. Their ‘models’ suggest it doesn’t matter if the rates are lowered or raised, the elasticities are the same going up or going down. But little is the same in the post-2008 economy. “Notwithstanding all the possible negative economic consequences of disposing of the $4.5 trillion, this past spring 2017 the Fed reached an internal consensus of to begin doing so. That consensus maintained that an extremely slow and pre-announced reduction of the balance sheet would not disrupt rates significantly. But as others have noted, “such an assessment is complacent and dangerously incomplete”. Selling off the $4.5 trillion would mean lost interest payments to the US Treasury amounting to more than $1 trillion, according to Treasury estimates. That’s $1 trillion less for US spending, with all it implies for US fiscal policy in general as the Trump administration cuts taxes by $trillions more and raises defense spending. In other words, sell-off may result in a further long-term slowing of US GDP and the real economy.